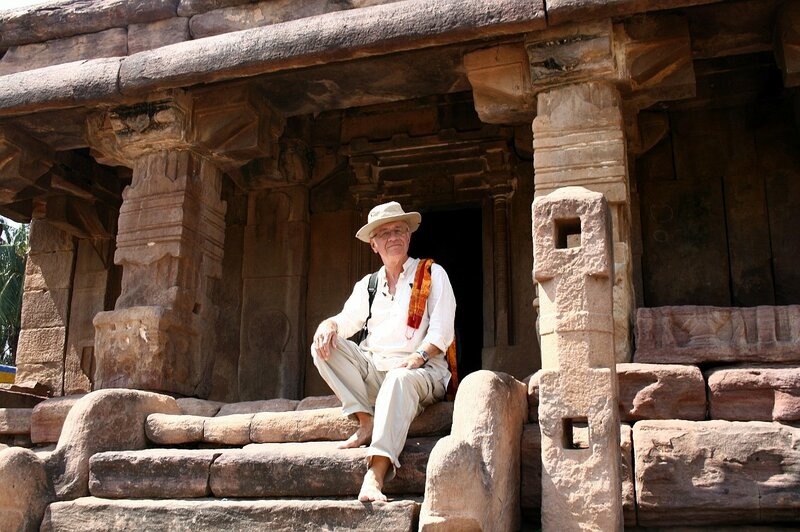 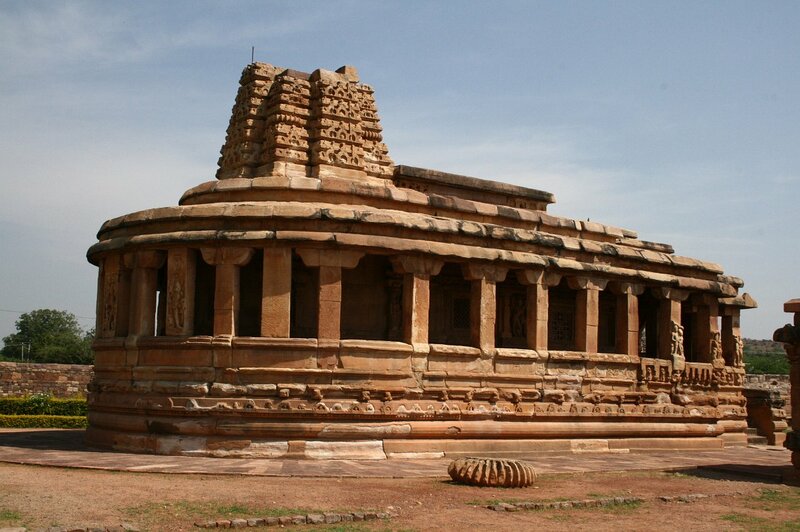 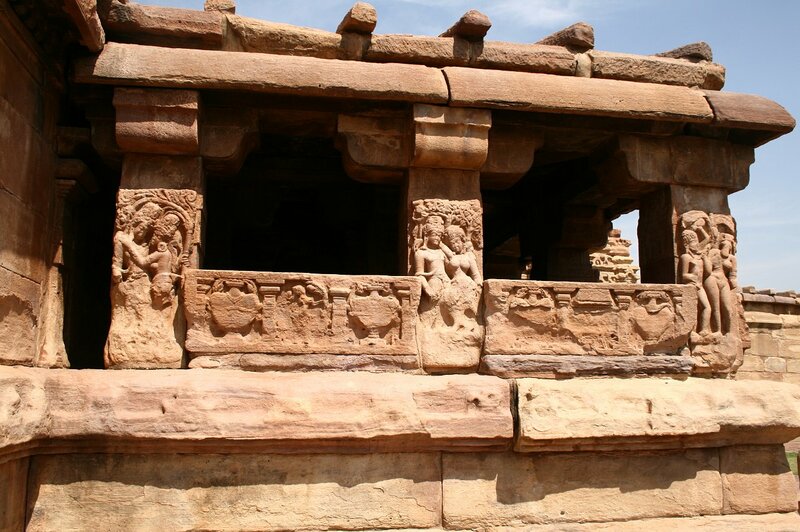 20 Aihole What is this temple? 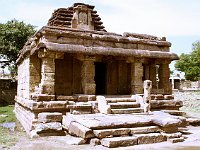 21 Gaudaragudi Temple A sanctuary surrounded by an open colonnade. 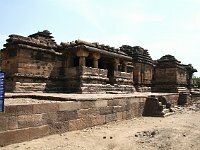 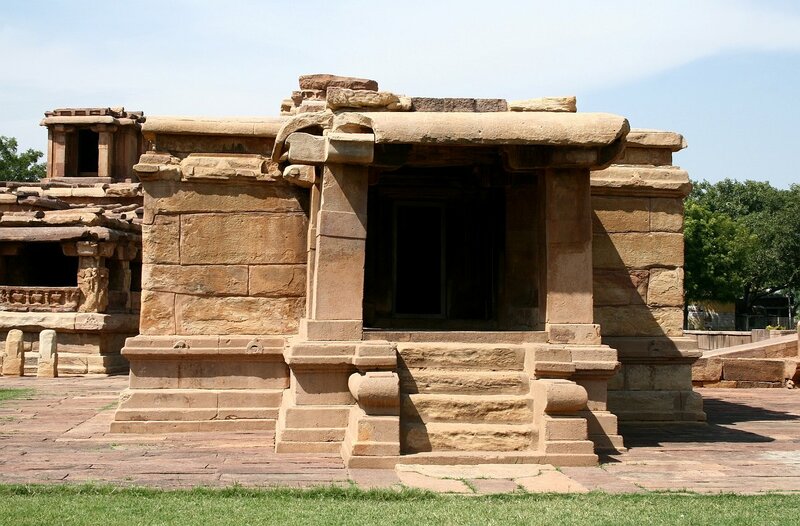 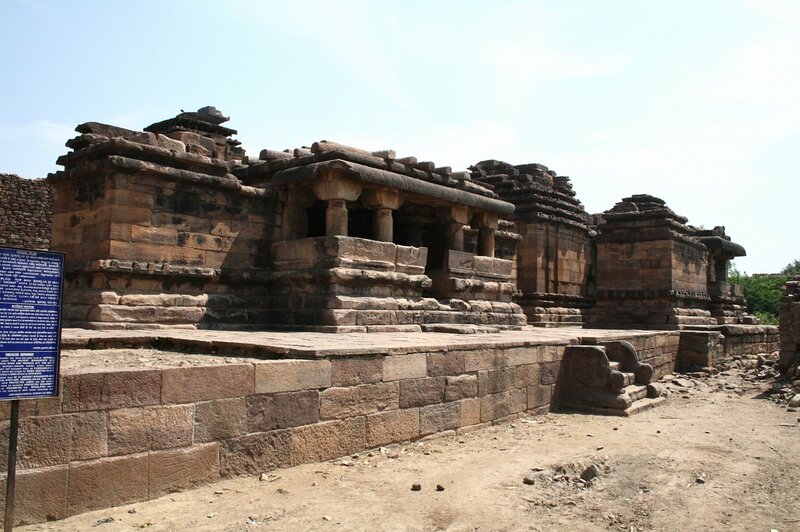 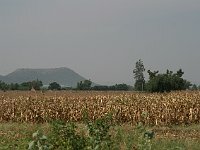 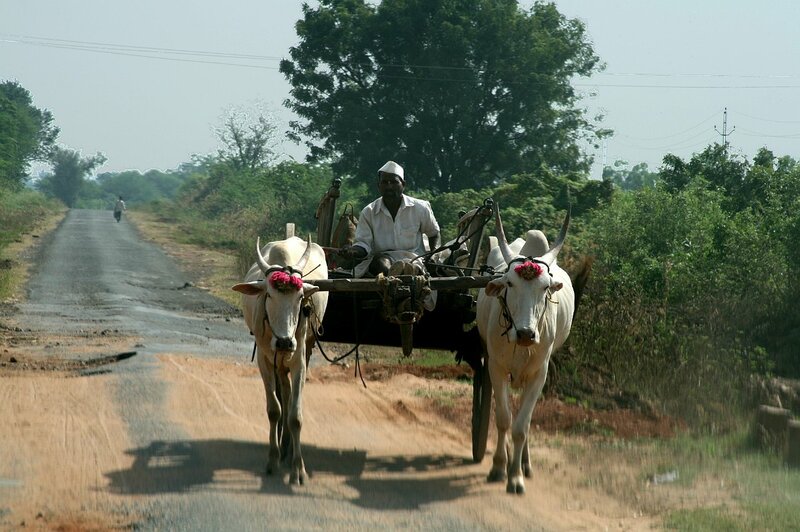 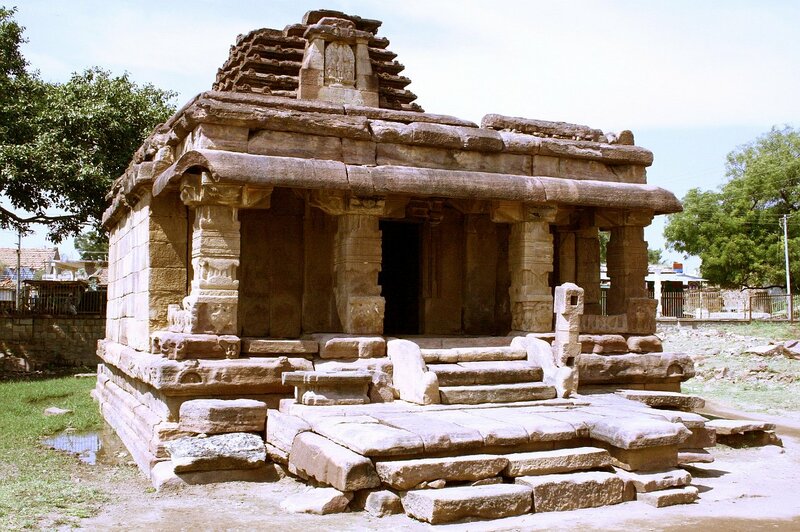 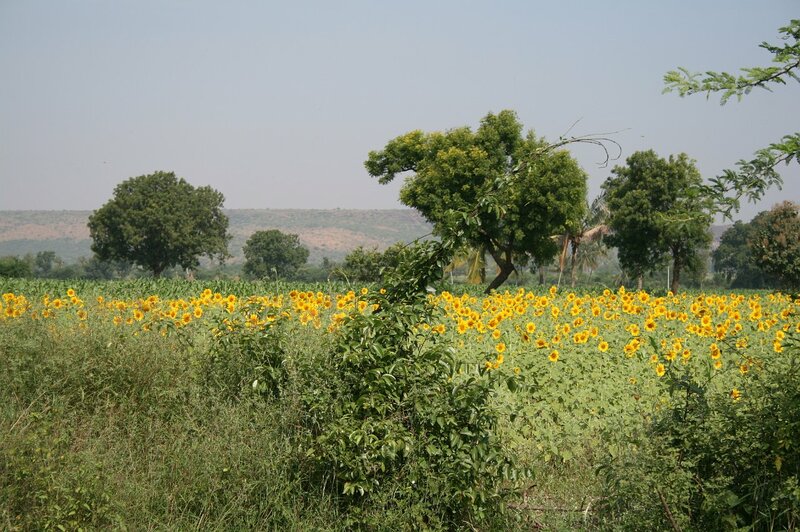 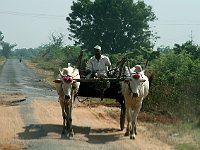 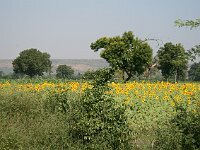 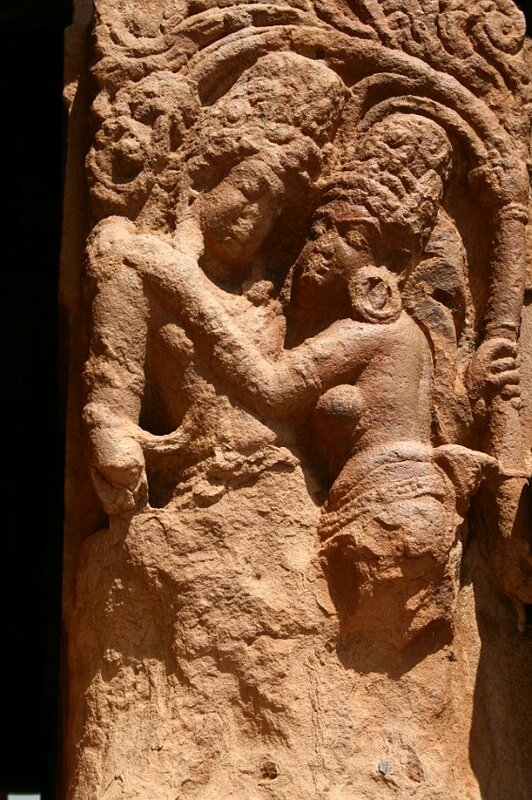 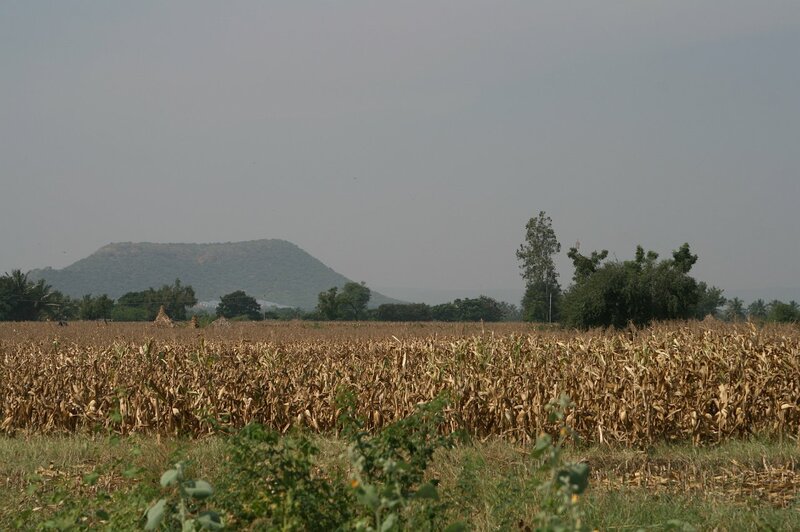 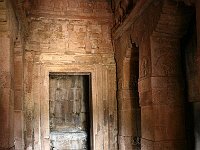 Probably the oldest in AIhole, dating from 5th c.
22 Suryanarayana Gudi Temple Dates from 7th or 8th c.
25 Ladkhan Temple Also one of the oldest in Aihole, currently dated c. 655-81. 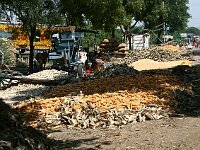 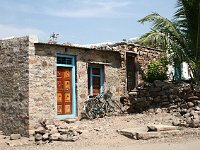 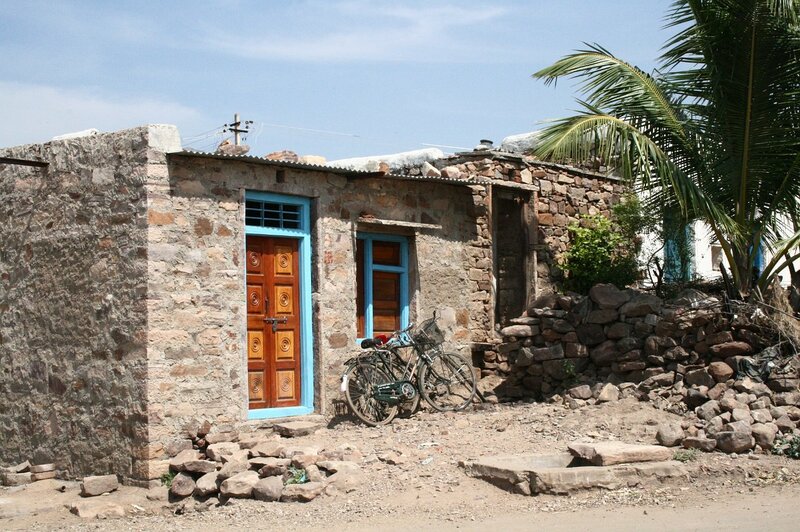 Note the fake stone logs on top of the roof. 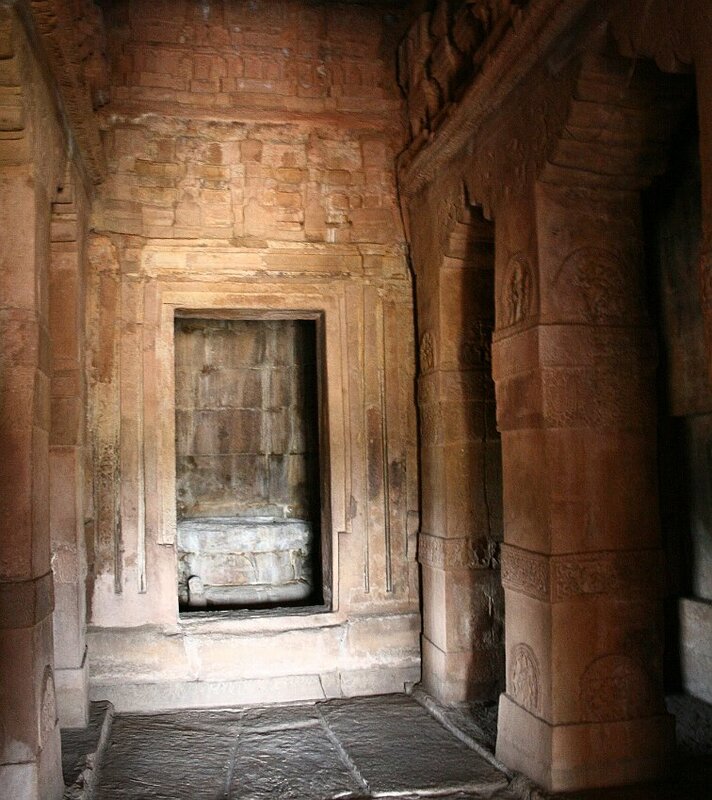 26 Ladkhan Temple Rather than having open sides, like the Gaudara Temple, the Ladkhan temple is enclosed by walls with stone screens for letting light enter. 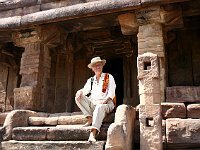 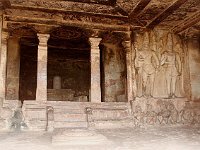 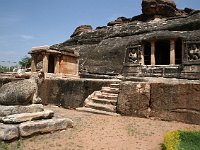 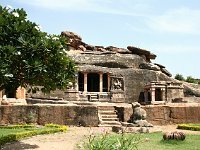 33 Badiger Gudi Temple Probably 9th c.
35 Aihole Chakragudi Temple, probably 9th c.
37 Ravanaphadi Cave Temple On a hill above Aihole. 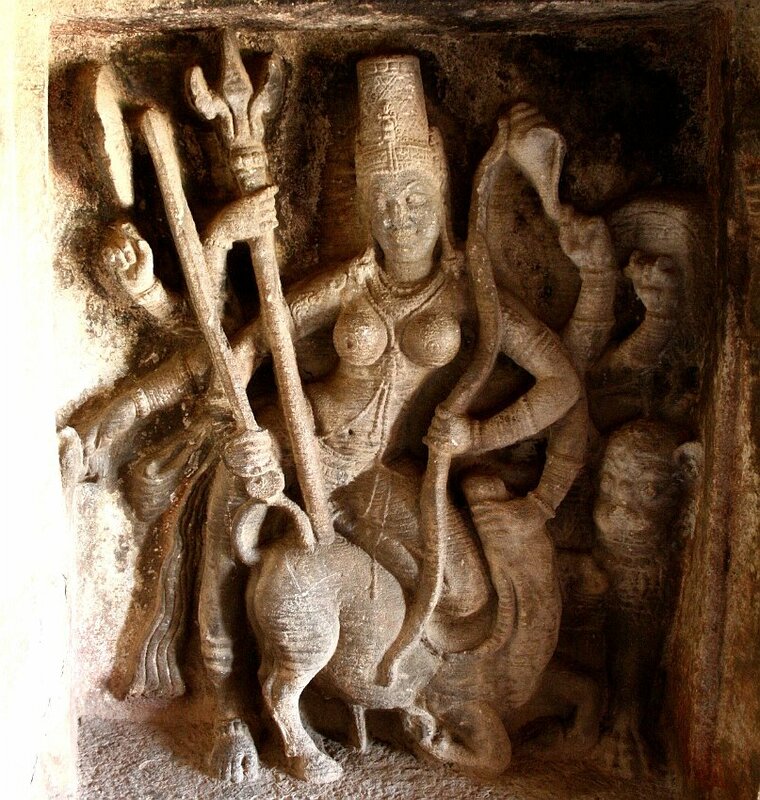 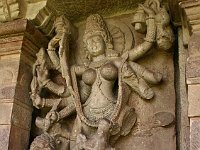 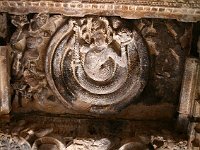 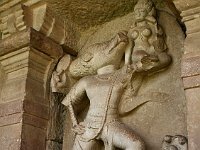 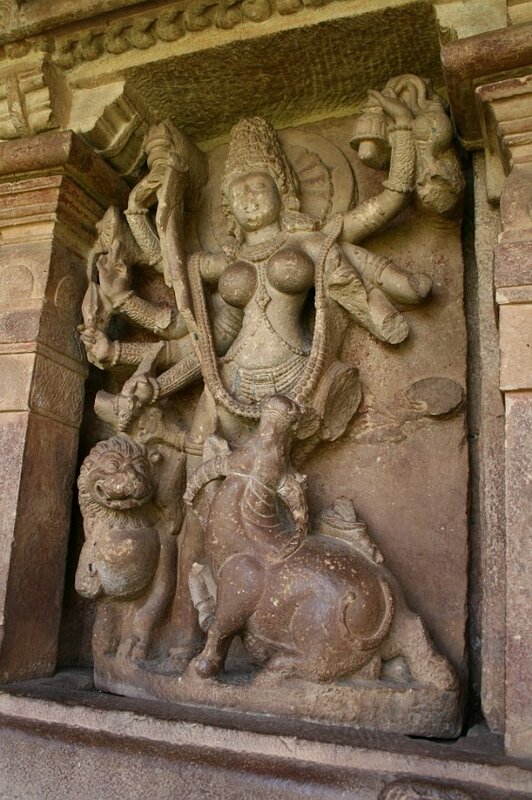 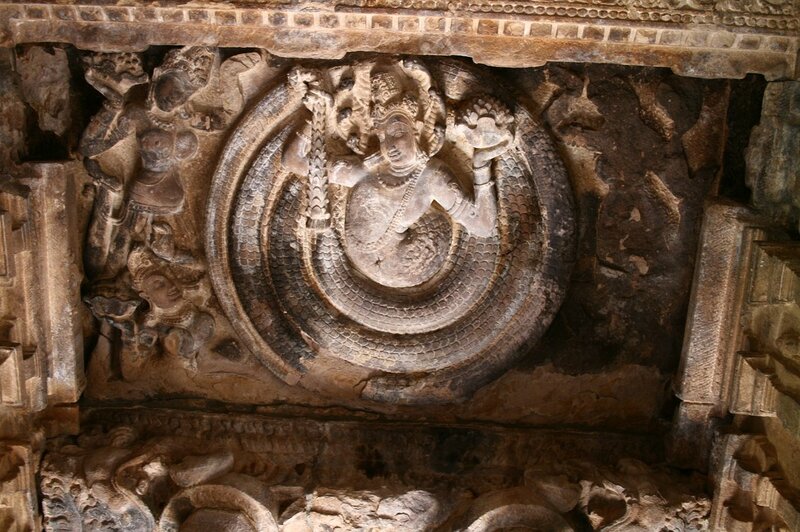 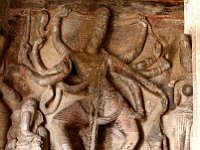 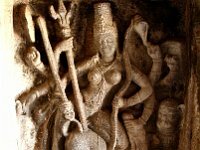 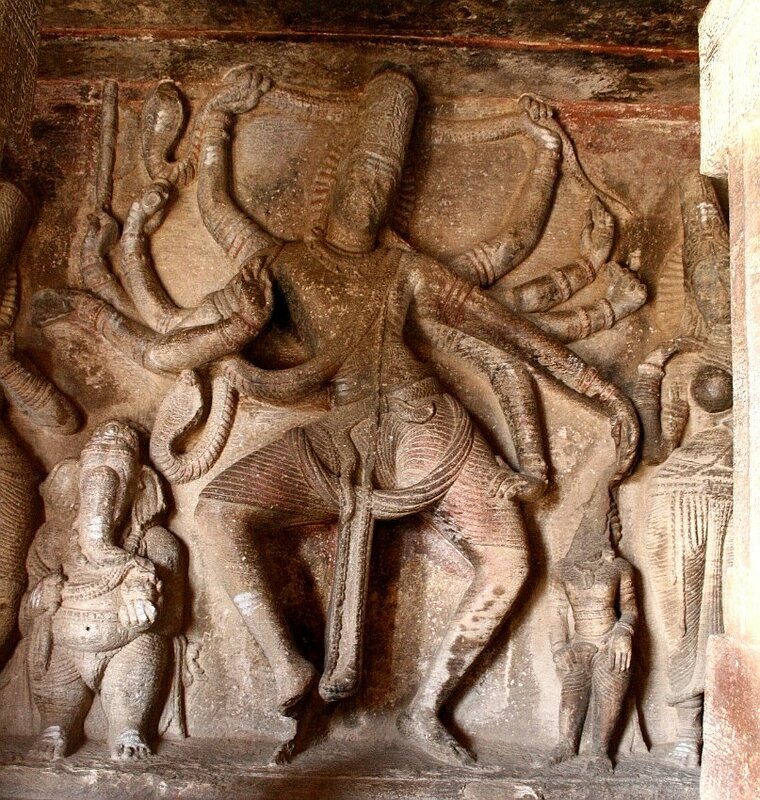 Probably dates from 6th c.
39 Ravanaphadi Cave Temple A magnificent sculpture of Shiva Nataraja, the king of the dance, with ten arms. 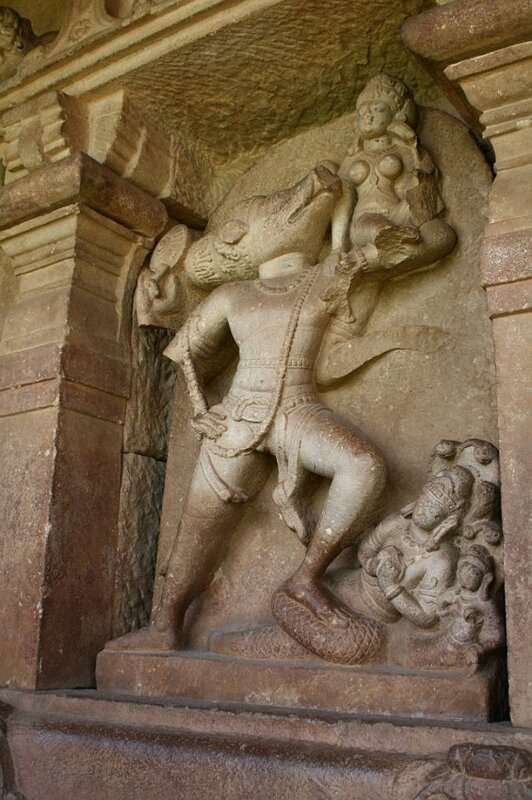 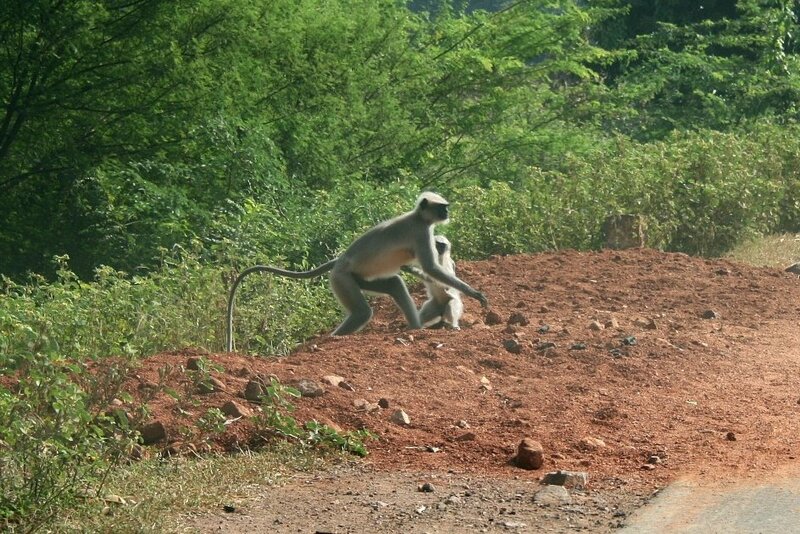 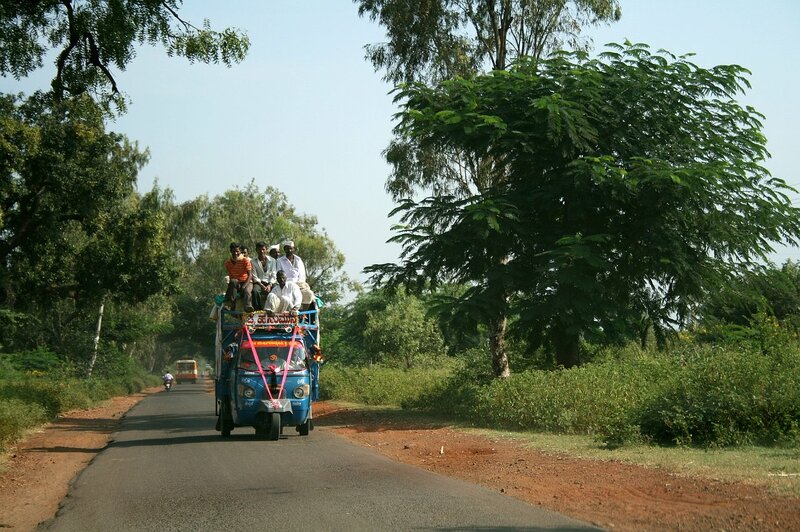 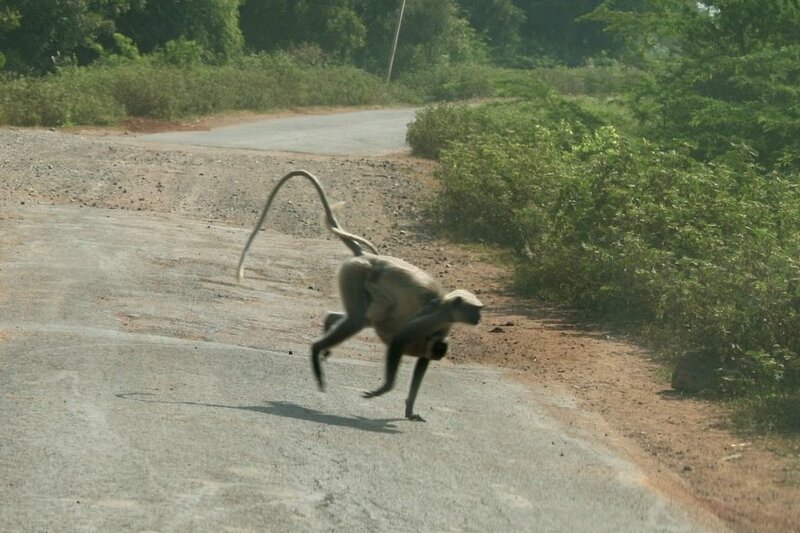 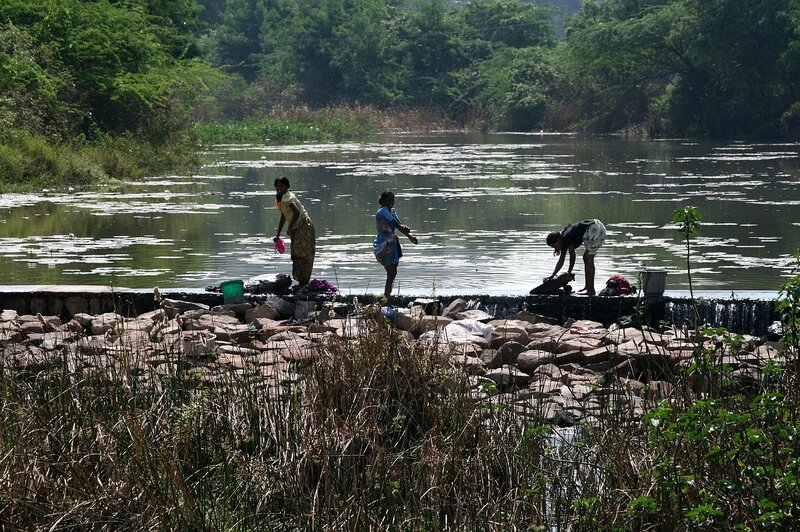 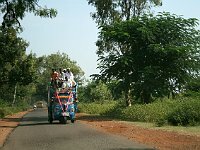 To the lower left, Ganesh. 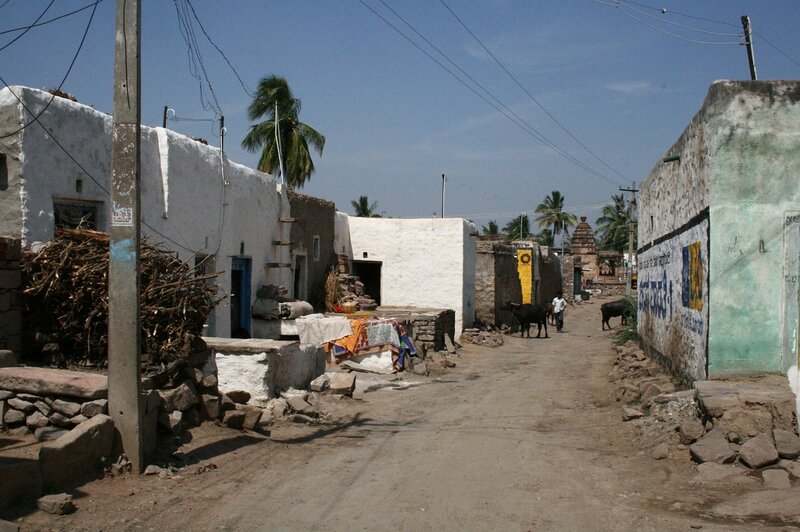 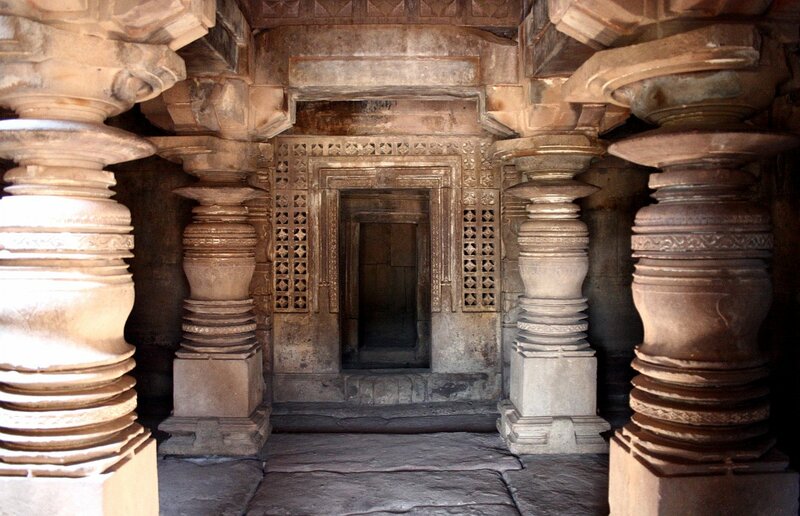 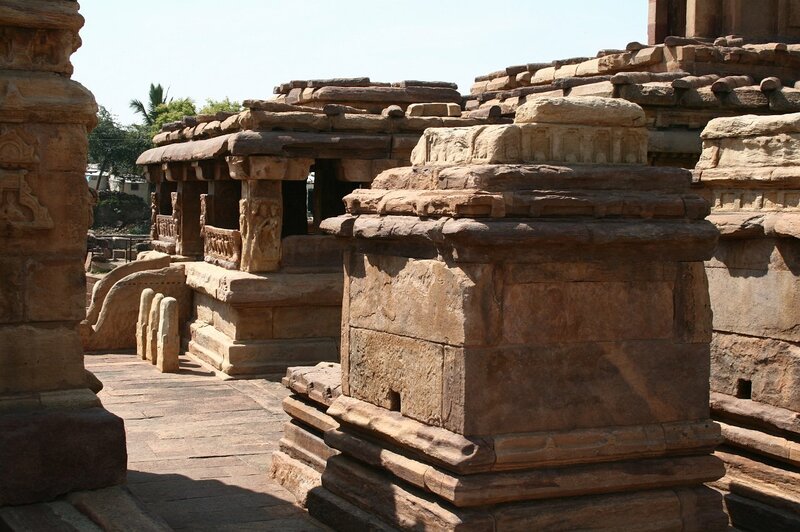 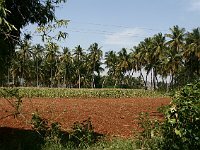 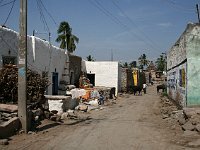 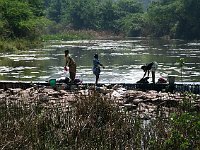 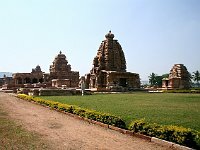 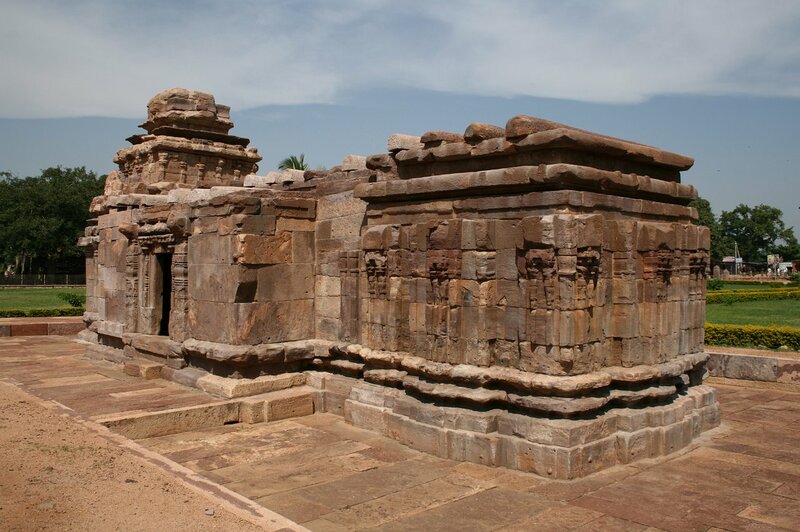 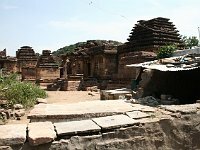 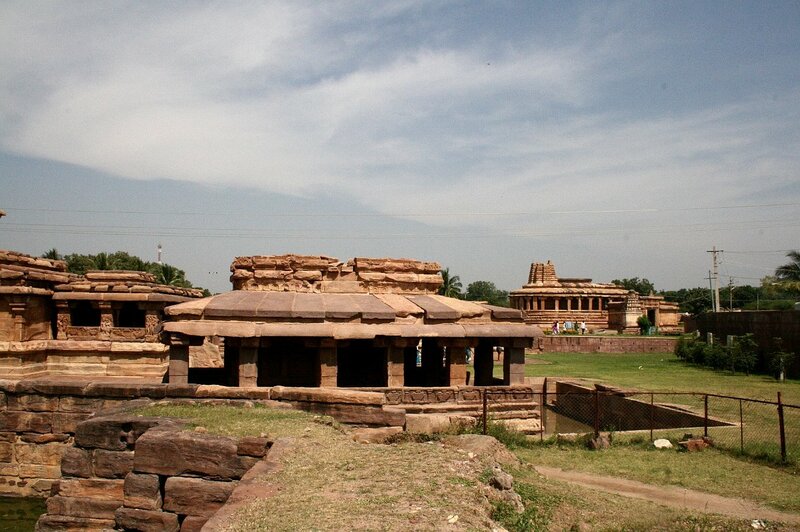 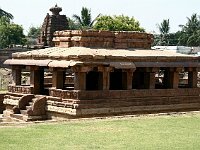 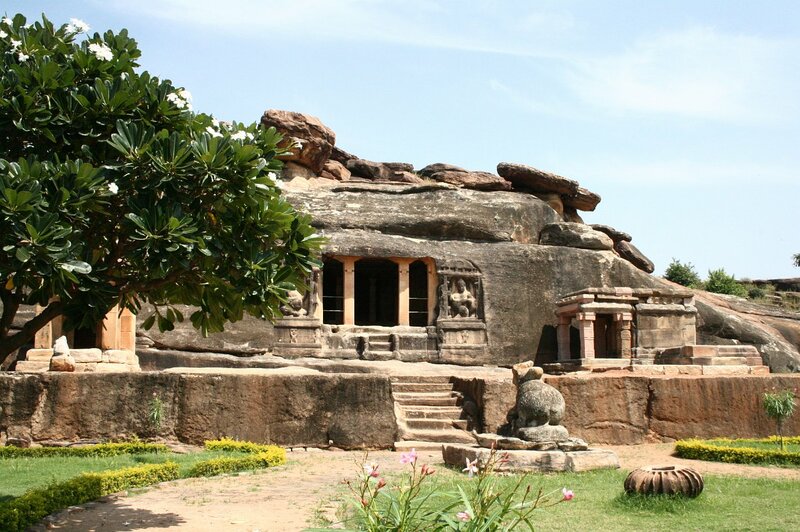 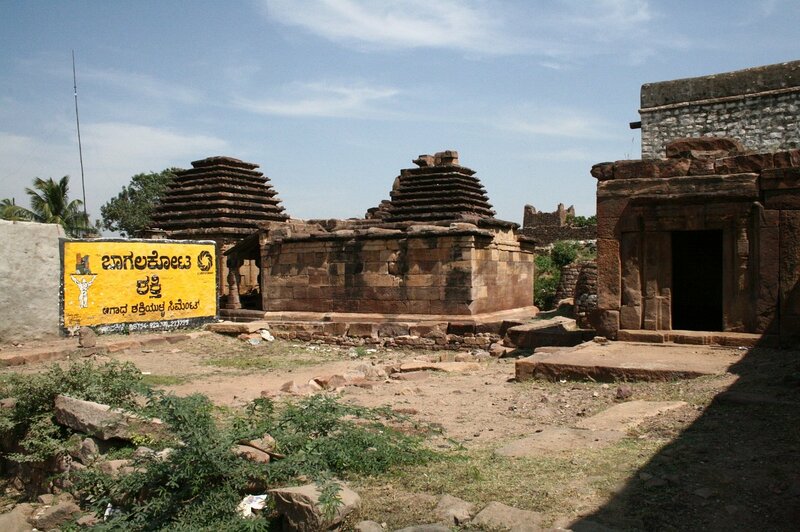 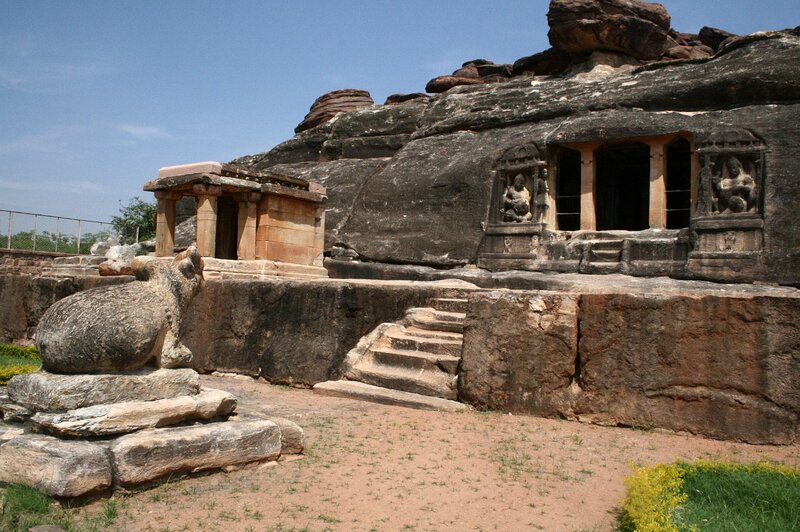 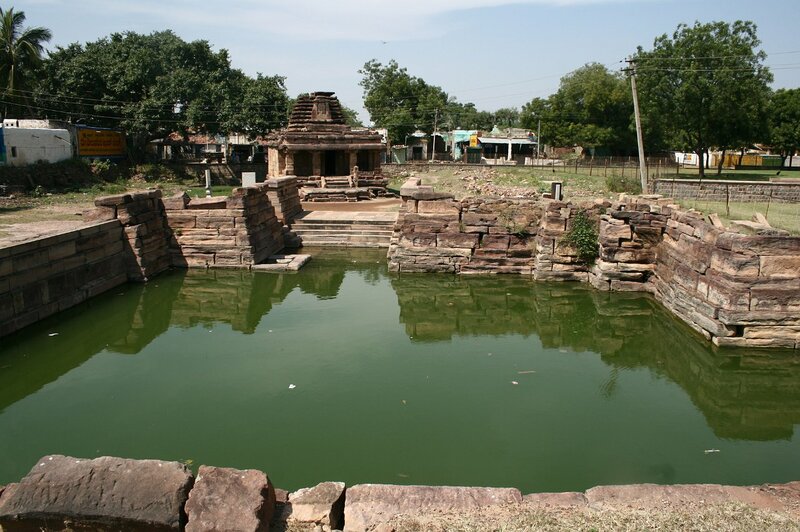 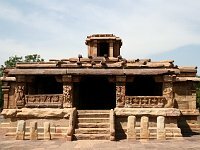 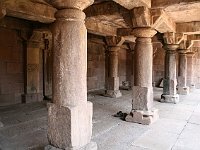 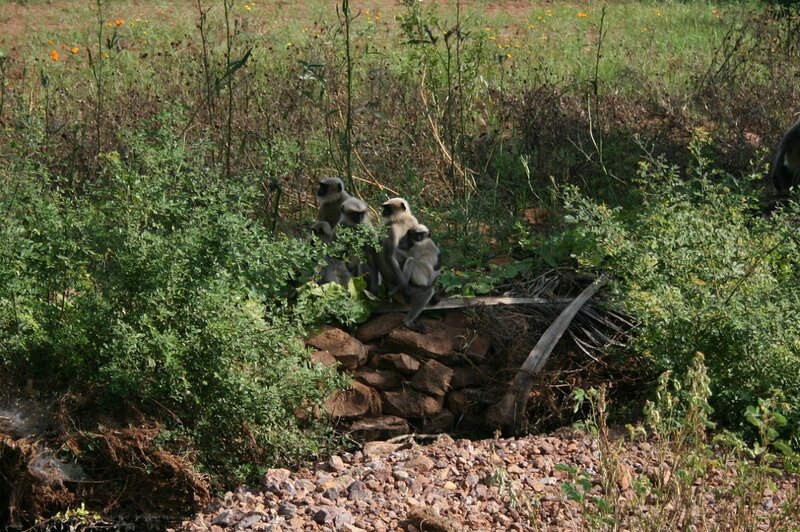 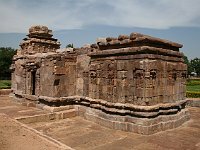 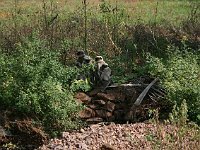 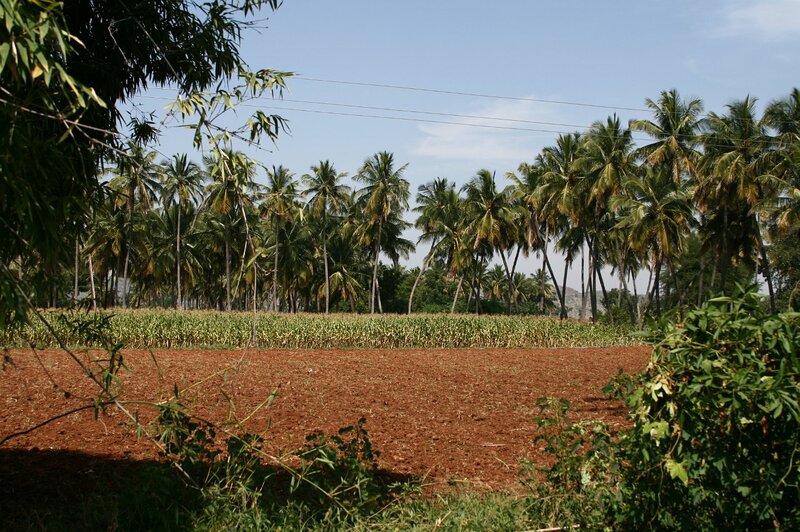 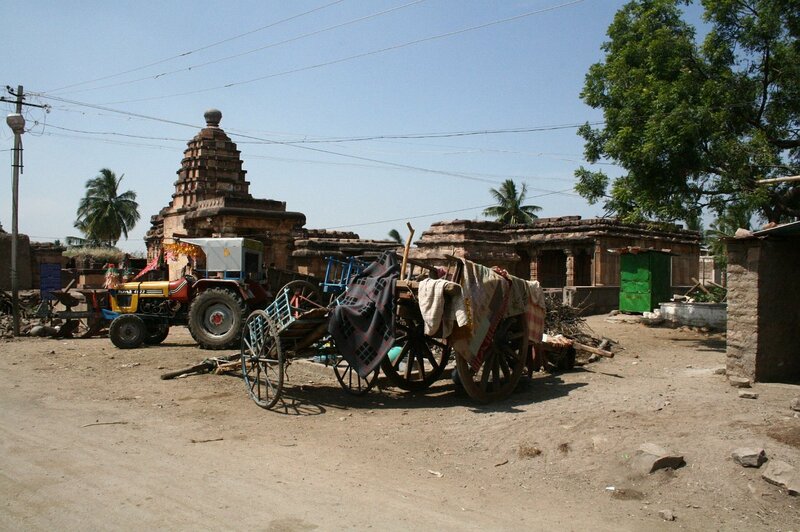 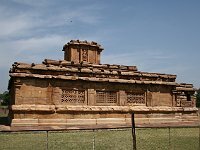 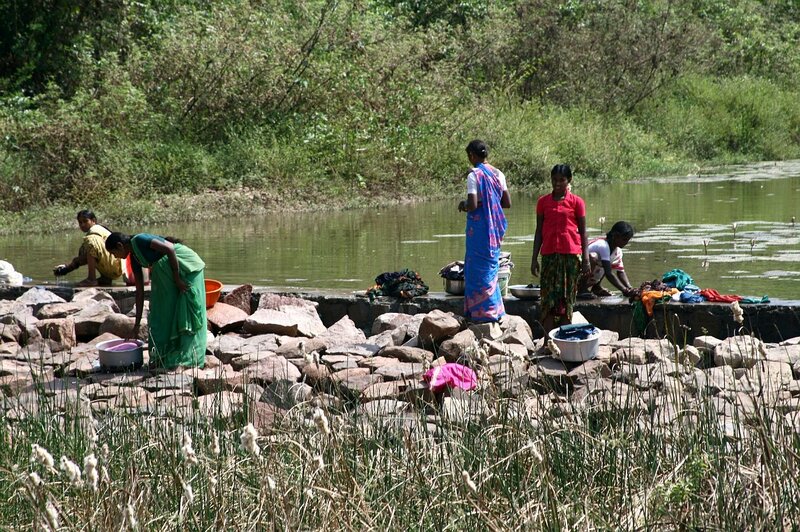 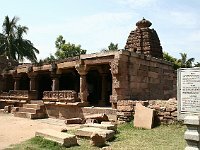 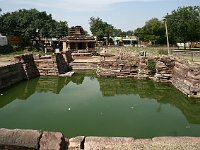 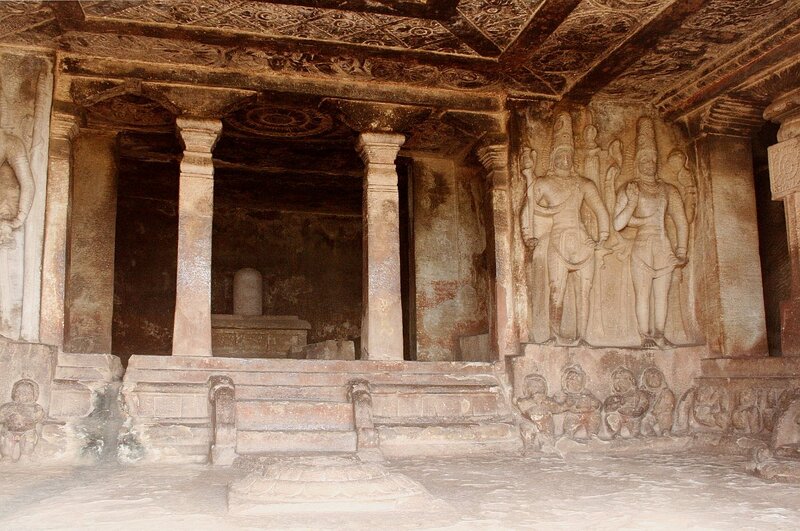 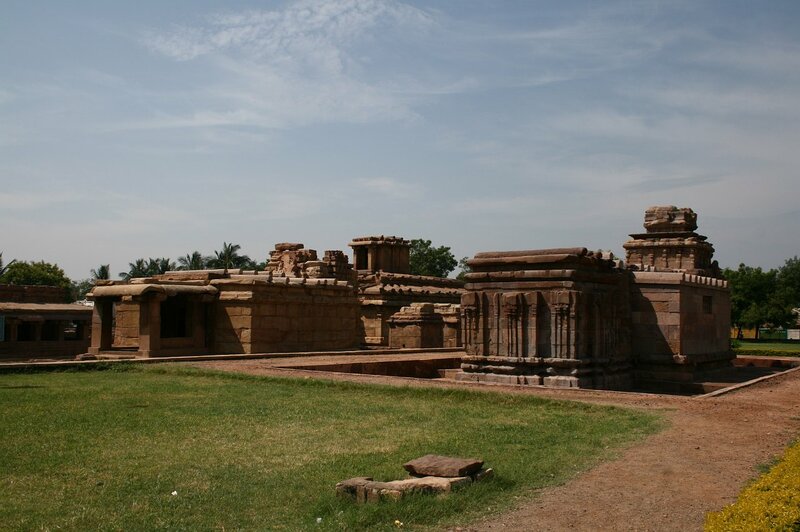 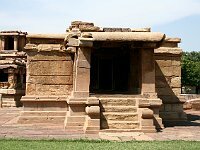 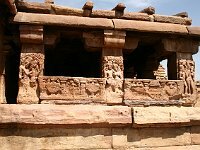 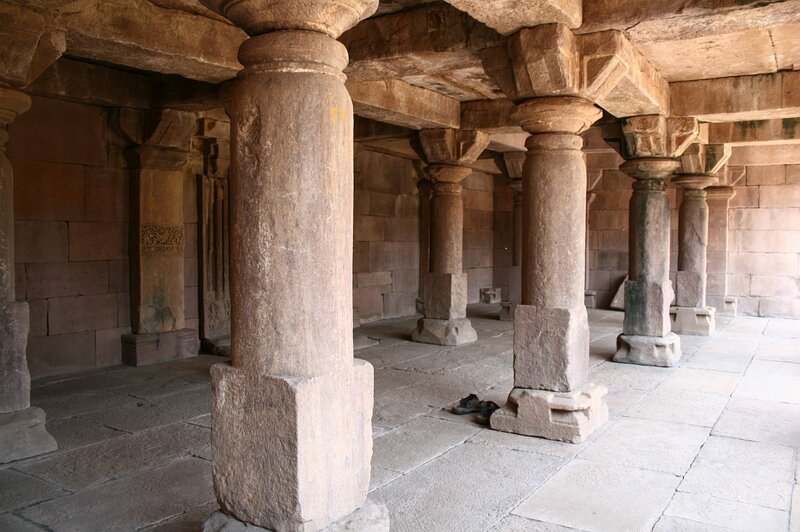 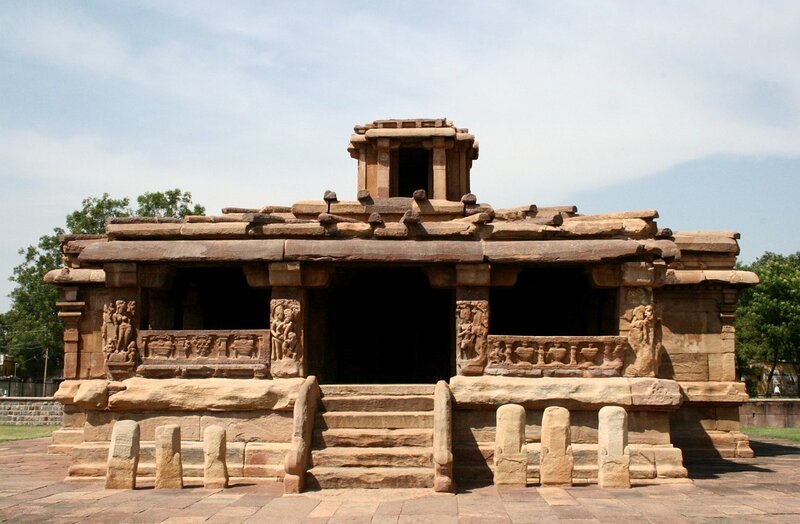 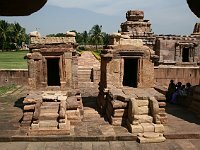 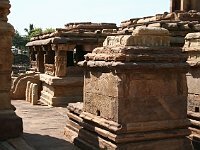 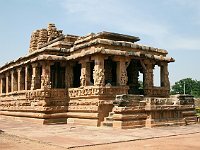 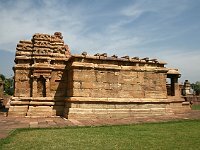 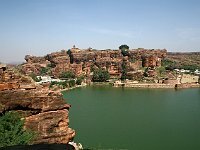 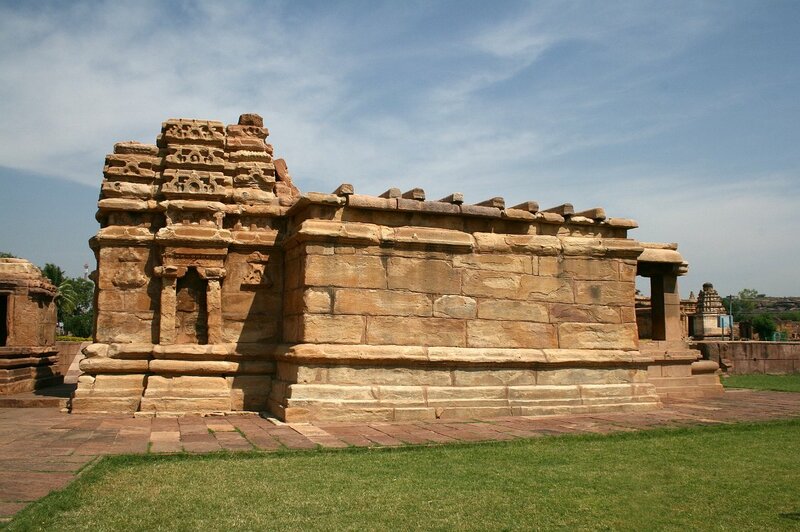 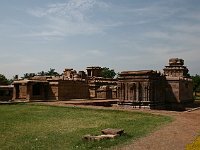 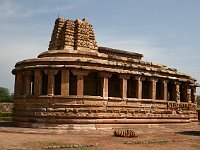 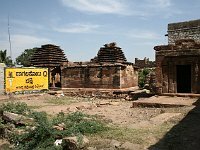 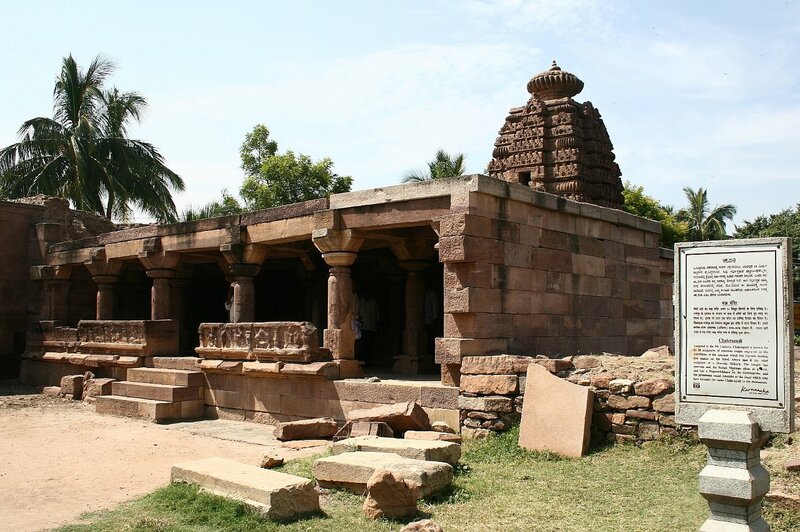 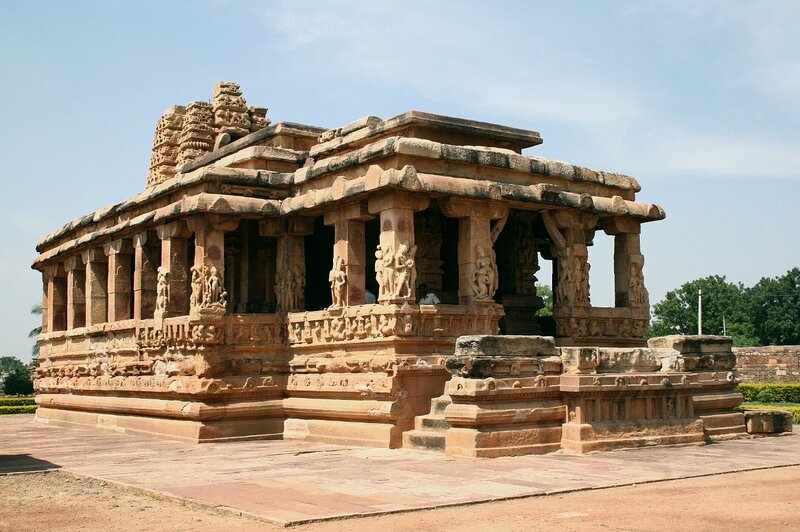 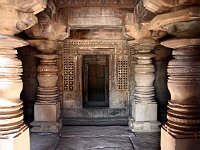 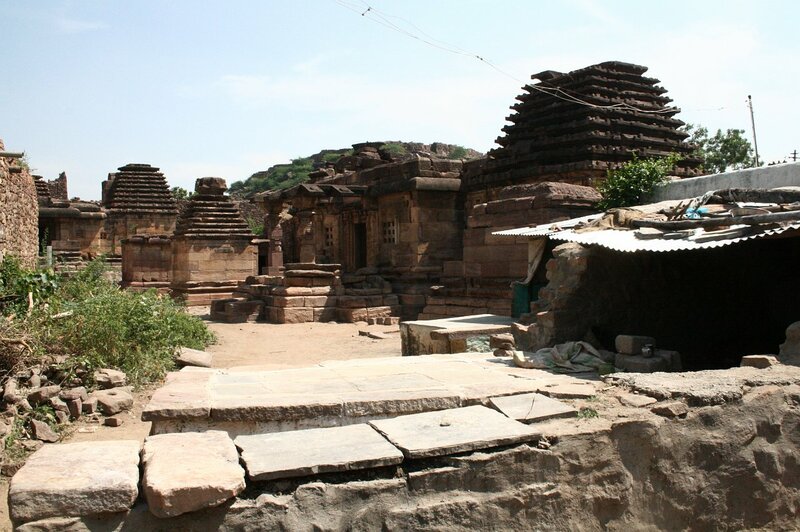 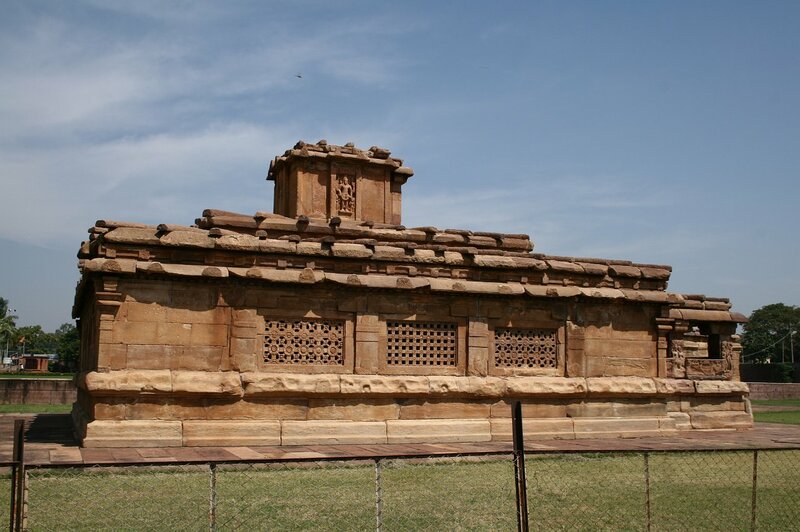 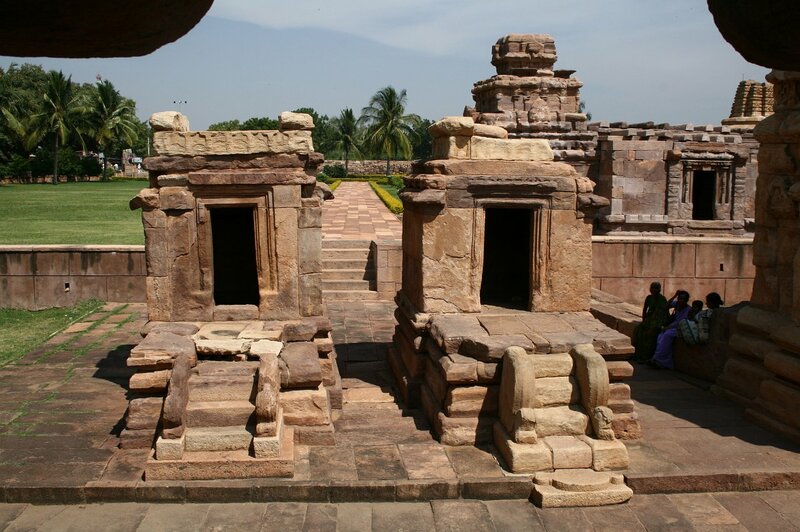 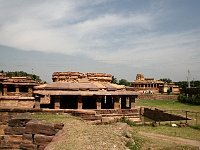 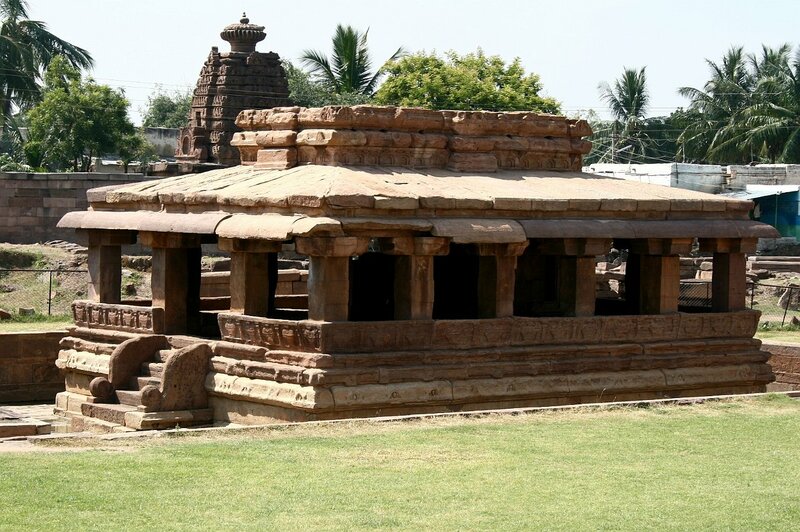 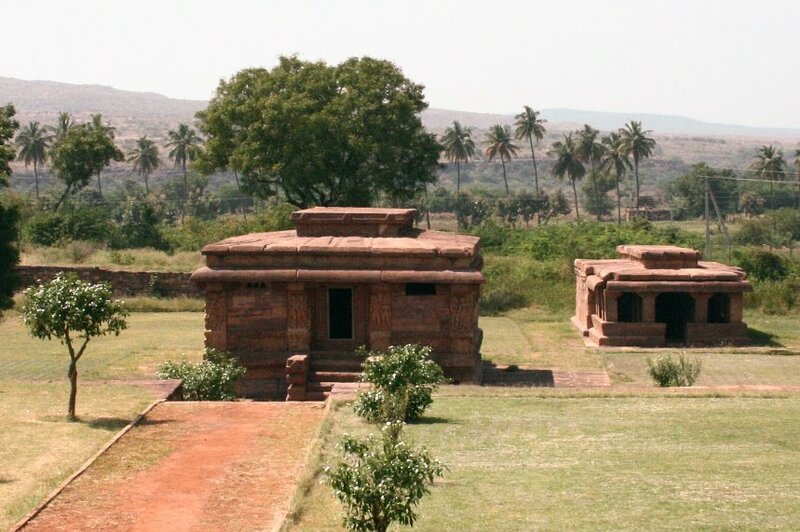 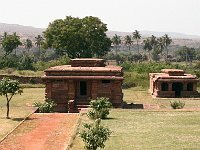 43 Aihole Thryambakeshwara Complex, two temples in the town, 12th c.
46 Huchchappayana Matha Complex 8th c.